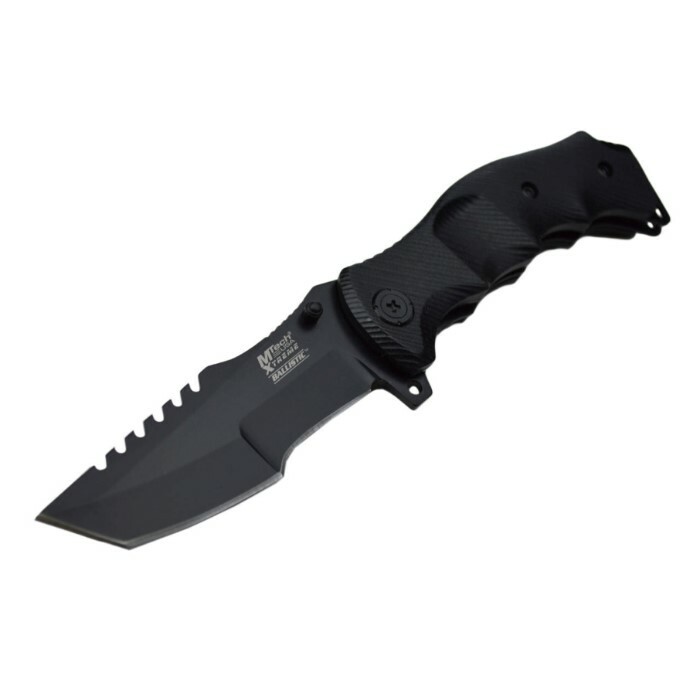 MTech USA Xtreme Ballistic Pocket Knife - Assisted Opening | BUDK.com - Knives & Swords At The Lowest Prices! 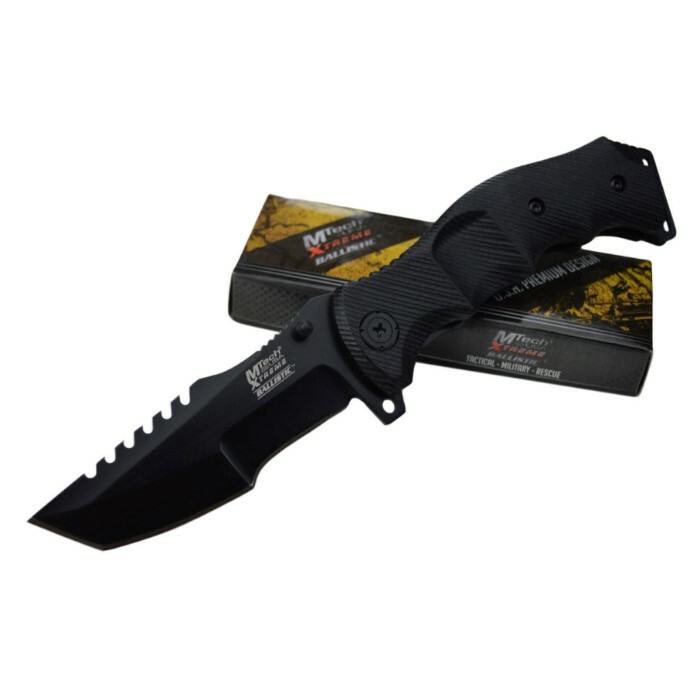 The Xtreme Ballistic Pocket Knife by MTech USA is a must-have tactical pocket knife because it is ready for action with its quick assisted opening. 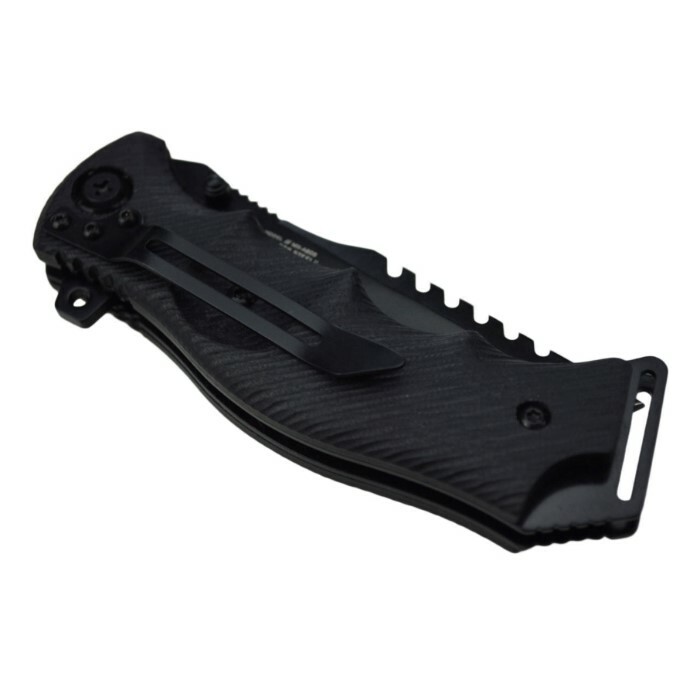 It has a 4” black stainless steel blade with decorative cutouts on the top of it. 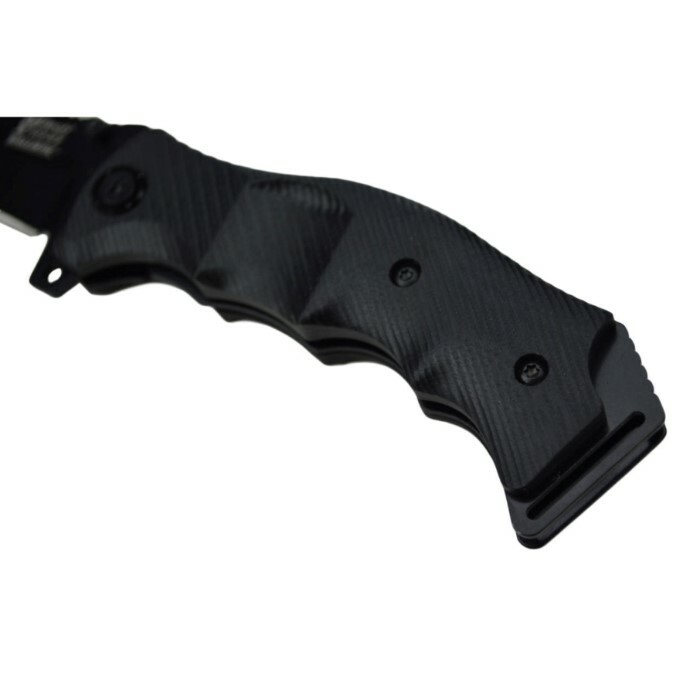 It has a durable black, textured handle for a slip-free grip and a heavy-duty pocket clip for ease of carry. It is 5” closed. 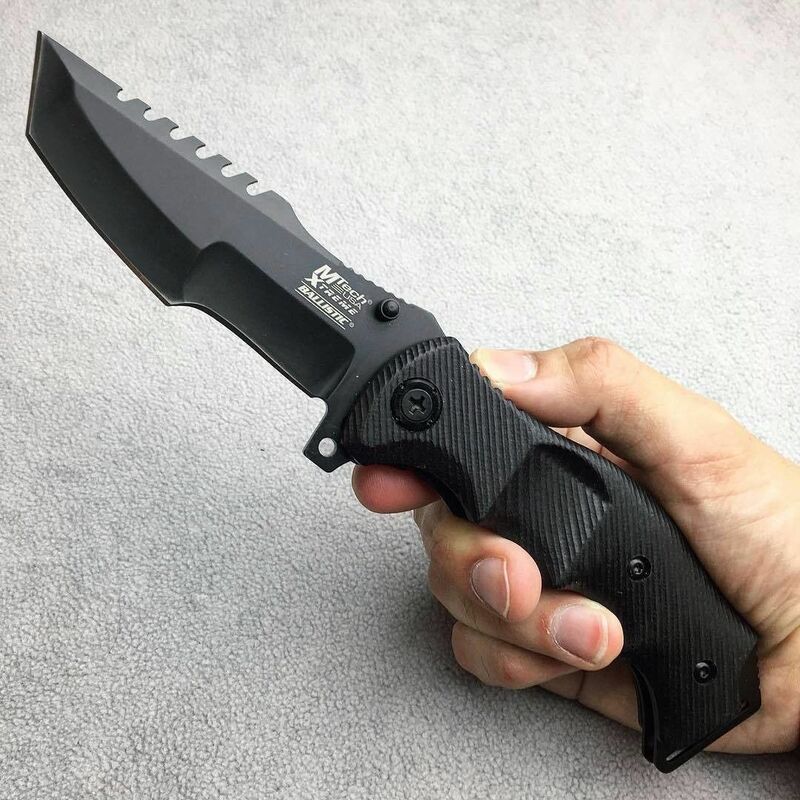 This is a heavy well constructed knife. I’m not really a knife connoisseur like everybody else on this site seems to be, I’m just an average customer. It’s a big and thick knife that’s a little stiff upon opening it. It’s a very bulky knife and does a great job cutting stuff I need it to cut. Four stars because I wish it clicked out as good as other knives. Kind of hurts your thumb after clicking it out a bunch of times. This is not an everyday carry. This knife is big , and thick. 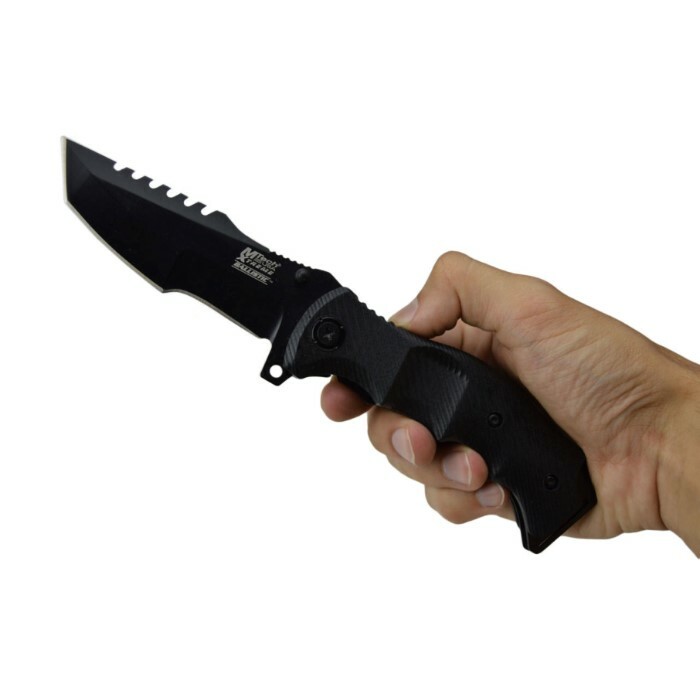 However ,don't let that deter you from buying this knife. This thing is built like a TANK! It is well made and sharp as a razor. For how big the blade is, it opens easily. There isn't anything this knife can't handle.